Make a Payment | The Firm For Men, Swango Law P.C. Payments through LawPay are convenient and completely secure! Make your payment any time – 24 hours a day, 7 days a week. 1. When are invoices sent? Invoices are emailed twice per month on the 15th and 30th. Each invoice will include an itemized list of charges pertaining to your case. Your payment is due in full seven days from the date of your invoice. 3. What should I do if I’m unable to pay my bill on time? If you find that you’re unable to pay your bill on time, contact our billing department immediately at billing@swangolaw.com. 4. Who should I contact if I have a question about work done on my case? If you have questions about work done on your case, please call or email your assigned attorney or paralegal. 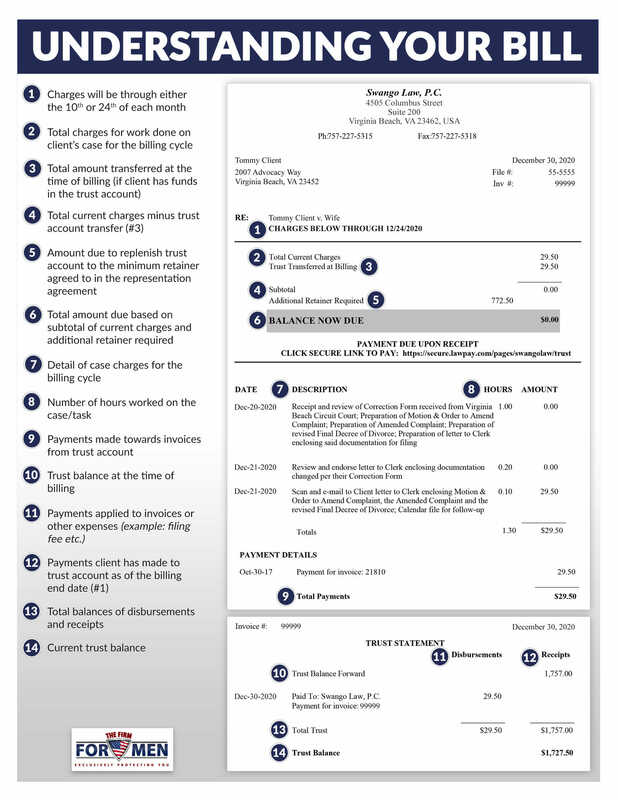 5. Who should I contact if I have a dispute on my billing statement? 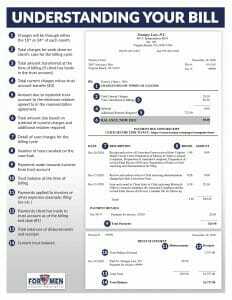 Should you have any problems with a charge on your invoice, you have 7 days from the date of receipt to dispute it. You may contact the billing department with details of the dispute in writing by emailing billing@swangolaw.com.